Not to worry, you can still call to register before Friday night! Call us at 740.788.1485. 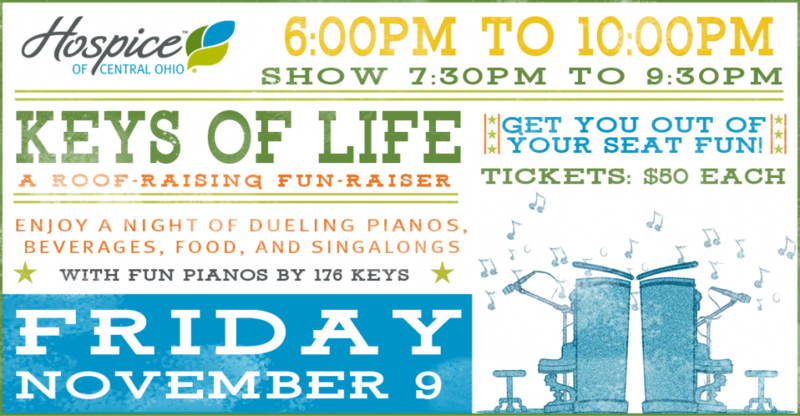 Hospice of Central Ohio presents Keys of Life - A roof-raising fun-raiser. Enjoy a night of dueling pianos, beverages, food, and sing-a-longs with fun pianos by 176 Keys. It's a "get you out of your seat" fun!